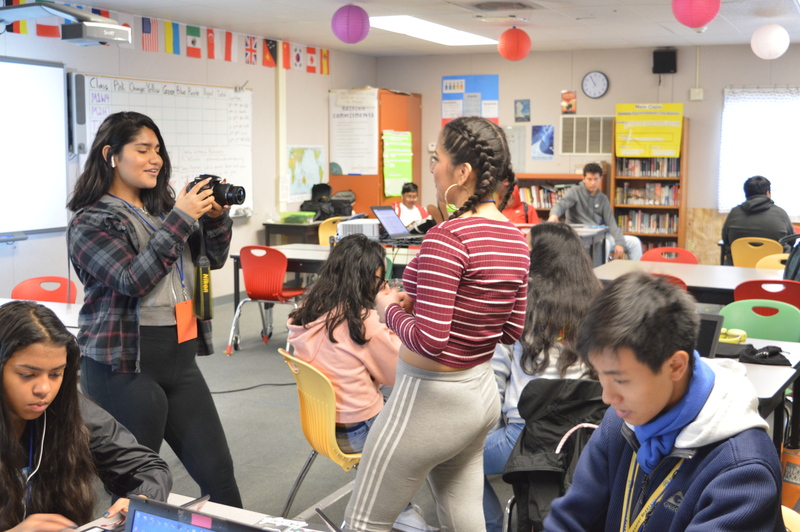 EDITOR’S NOTE: On Sept. 12, student journalists from Summit Public School: Rainier held a press conference to meet San Jose City Councilman Tâm Nguyen. The council member talked about his story, how he became a politician and what makes up his campaign for the Nov. 6 election. Mayor Liccardo and council members Jones, Jimenez, Peralez, Diep, Carrasco, Davis, Arenas, Rocha and Khamis graciously declined an invitation to join the event. Staff Photographers Juan Ambrosio, Sabrina Guzman Nava, Brayan Lozano, Khanh Nguyen and Abel Rangel contributed photos to this slideshow. City Councilman Tâm Nguyen aims to improve community one step at a time using small and attainable goals. He said he didn’t have big names advocating for him or lots of money, but he had the support of the community by his side. When he first began running for City Council, he made big plans. Later he realized he needed to set smaller and simpler goals to ensure that real progress would be made, rather than making big promises that couldn’t all be kept.Mr. Nguyen talked about how he planned to make small changes in the community that little by little would make a world of difference for everyone. Mr. Nguyen said that on Saturdays he makes time to help clean around the neighborhood in the community to make things better for the people who live there. Although it is not a big project, it is something that slowly but surely improves the community. He later added that he would like to increase law enforcement by getting more police officers on the street to keep crime rates down and ensure the people’s safety. Mr. Nguyen said that when he first started running his campaign he “heard bad things about politicians,” such as the Little Saigon fight in San Jose that occured because the community disliked how the person in office was deciding to handle certain situations. On Nov. 15, 2007, the Mercury News reported that council member Madison Nguyen was trying to stop the community from turning on her because of the Little Saigon conflict. People were upset because even though mostly everyone who lived there expressed that they wanted the neighborhood to be named Little Saigon, Ms. Nguyen ignored them and instead went ahead with her own name for the area – one that she felt would attract non-Vietnamese people as well. Because of her refusal to name it Little Saigon, many people became infuriated with her choices, held many protest against her and called her a traitor. The Mercury News later explained that the conflict got so heated that Ms. Nguyen faced “threats of a recall from Little Saigon supporters who say she is siding with her business associates instead of the people who voted her into office.” Because of these reasons the community went to Mr. Nguyen to hopefully drive the council into a better direction. “When her time was up in 2014, people in the community said, ‘Tâm, we want you to be a city council member.’ And because people kept pushing the idea on him, he later agreed and decided that he did in fact want to run for City Council. Ever since, he’s been making sure to always listen to the community and to put the people first in all situations to become stronger and better together. Mr. Nguyen has shown himself to be a good councilman; rather than making large plans that might be difficult to accomplish, he instead makes smaller, simpler, easier to reach goals that better the community. This, along with his general concern for the people’s well-being and his willingness to listen to the opinions and feedback of his supporters, has made him a well-liked and trusted council member. As an immigrant, San Jose Councilman Tâm Nguyen feels he is responsible for supporting the immigrant community in his district. He told his story to reporters at Summit Public School: Rainier on Sept. 12. If he had not been allowed into this country as a young refugee, he asked, “Where would I be?” Mr. Nguyen is an immigrant himself; he said he came here a very broken and broke college student, as a refugee from Vietnam. He was rescued by the Korean Embassy on the boat he left Vietnam on; after he was rescued, he came to America with nothing. After arriving in America, he got his first job as a dishwasher 43 years ago and has never stopped working a day since. After taking a year to work and gain stability, he started attending college in Missouri. As a college student, he said he “didn’t know anything.” Then he began studying music because he could play the guitar. Later on, in 1980, electronics were on the rise. He became an engineer at Tandem Computing. They let him continue attending college, where he studied law. He said he studied law because they needed more Vietnamese-American lawyers. Staff Editor Charlie Stattion contributed to this report. San Jose Councilman Tâm Nguyen’s base priority is community. 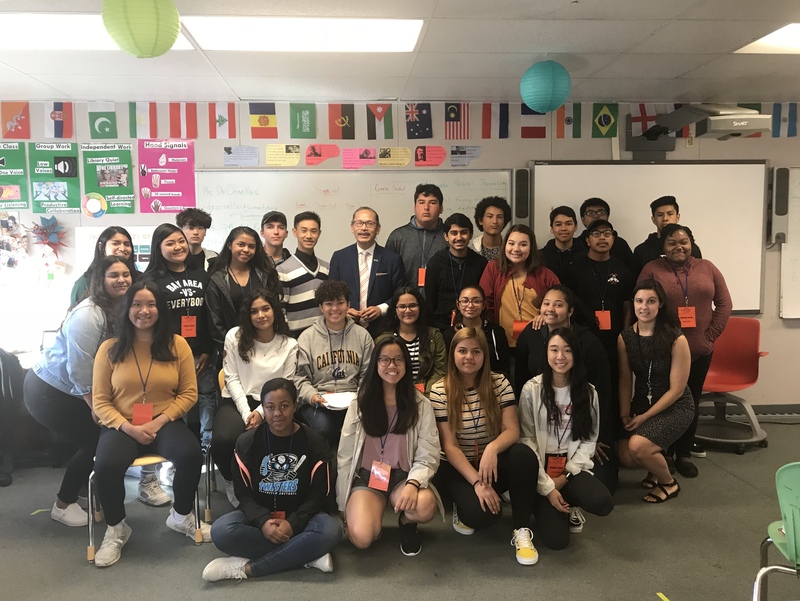 Mr. Nguyen, a councilman from District 7 who is currently running for re-election on the November ballot, visited Summit Public School: Rainier on Sept. 12. He recalled one of two words he kept in mind before running for District 7: safety. “Safety in your home, safety in your school, safety when you’re in the park, safety when you work, and safety on the street – transportation, and personal safety” are all important priorities, he explained. Mr. Nguyen emphasized multiple times that communities are the base of his support. He mentioned that starting with the community and gaining their support will create a strong base for one’s election campaign. To gain and maintain the support of the community, he continues to give back by visiting multiple neighborhoods to help with cleanup. He even went as far as to leave his phone number on the whiteboard, letting students know they can send him a text and he will show up at our neighborhoods and help pick up trash. For the council member, small steps like cleaning up trash in parks and neighborhoods and keeping those in the community safe build toward his overall more strenuous goal. Mr. Nguyen explained that as an attorney his slogan had always been “advocating for the disadvantaged families.” That is exactly what he continues to work toward by participating in community events and spending a generous amount of time working with the community. San Jose Councilman Tâm Nguyen has been on a journey to become an important and impactful member of the community. Through his many years of volunteering and helping other people, Mr. Nguyen has developed a strong connection with the community and its people, which has helped him in reaching the position of a council member. From his early rough childhood in Vietnam, Mr. Nguyen came to the United States 43 years ago due to the dangerous warfare in his home country. He has worked his way up from being a dishwasher in Michigan, to getting a B.A, then later receiving an M.B.A and becoming an attorney, to now being one of San Jose’s councilmen and representing District 7. However, Mr. Nguyen did not plan to be a councilman in the first place; he said he had “heard bad things about politicians,” but the people of the community had said otherwise and so he said, “I’ll take on the challenge,” which led him to be elected as a San Jose councilman. Mr. Nguyen said, ”If you don’t have the community’s support, forget it,” adding onto why community is so important to him. He stated previously that community means a lot to him because community is what has gotten him so far. Mr. Nguyen, if re-elected as councilman, said he plans to do better: ”two words, safety and health.” He went on to say that he plans to better the safety of our community by making sure that our neighborhoods, schools, and homes are secure. He also plans on bettering the health of our community by making sure that our surroundings and environment are clean. He is a dedicated man who plans on making change throughout San Jose – so devoted that he has even offered for people to call him if there is trash so he can go and help clean it up. By offering his services, he not only contributes to this community but he also gains the community’s support and trust in order for him to keep his current position as councilman and continue to make positive changes. All in all, Mr. Nguyen’s journey from escaping his country to now being one of San Jose’s city councilmen has been an eventful and transformative experience for him and the people of San Jose. He has devoted a lot of his time and work to bettering San Jose by being an ally to our community in District 7. San Jose City Council Member Tâm Nguyen tries to approach change and be open to new challenges. “I take on the challenge.” Mr. Nguyen said that he is willing to grow through new experiences and that he is determined to make San Jose safe and healthy. Mr. Nguyen wants the best for San Jose. He does this by helping the community and volunteering his own time to make the San Jose community a better place for everyone. On Sept. 12, Mr. Nguyen came to get interviewed by Summit Rainier’s Multimedia Political Journalism class. He spoke about how he was poor in college and how he had to leave Vietnam because his country fell into communism. With nothing, he made it into something. He told himself he could and he would. With the baby steps he took, he accomplished his dream and he keeps on dreaming today. As a council member, Mr. Nguyen feels very firmly about productivity and bettering his town. Because of his passion, he makes himself available to clean up neighborhoods and his community every Saturday morning with the help of his volunteers whenever he can. Picking up trash in his neighborhood is only one of the challenges that he’s faces as he tries to improve life and safety for the people of his district. He has overcome many challenges, but he likes to do “one thing at a time.” He keeps things slow and steady so he can do more things that will benefit the community.